Greg is interested in marine habitat ecology and aims to better understand the role geologic processes play in shaping ecosystems. Such research is needed to predict how ecosystems will change with the projected increase in coastal sedimentation from climate change and anthropogenic activity. For his thesis, Greg is examining the effects of sediment scour on rocky-bottom benthic invertebrates, and how these effects vary with grain size and wave energy. Greg is originally from northern Minnesota, where frequent backyard visits from wild animals drove his interest in natural sciences at an early age. After graduating from Beloit College with a major in geology and a minor in biology, Greg worked at Bryce Canyon National Park, where he conducted an inventory of the Park's springs and assisted with micropaleontology research. He then taught English at Henan University in central China, followed by substitute teaching at elementary schools in Las Vegas. Since starting at MLML, Greg has worked as a benthic invertebrate ecologist for the US Geological Survey. Greg volunteers as an interpretive guide at the Monterey Bay Aquarium and as a diver for Reef Check California. While participating in the Williams-Mystic Maritime Studies semester program and working with a marine geologist in 2007, Kim realized she could combine her love of rocks and the ocean. 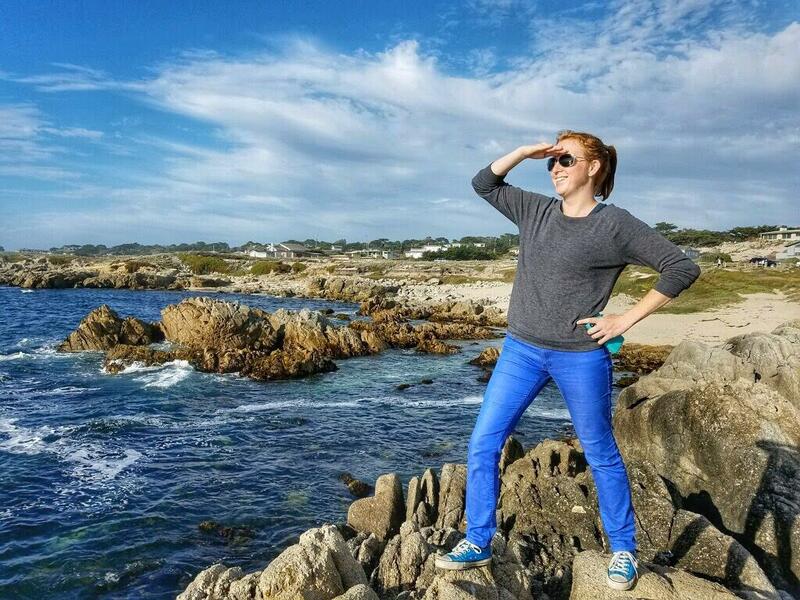 After graduating in 2010 with a BA in geology from Carleton College in Minnesota, she worked at a National Park in Texas, went on a research cruise off the coast of South Africa, and then settled at a job in environmental consulting. 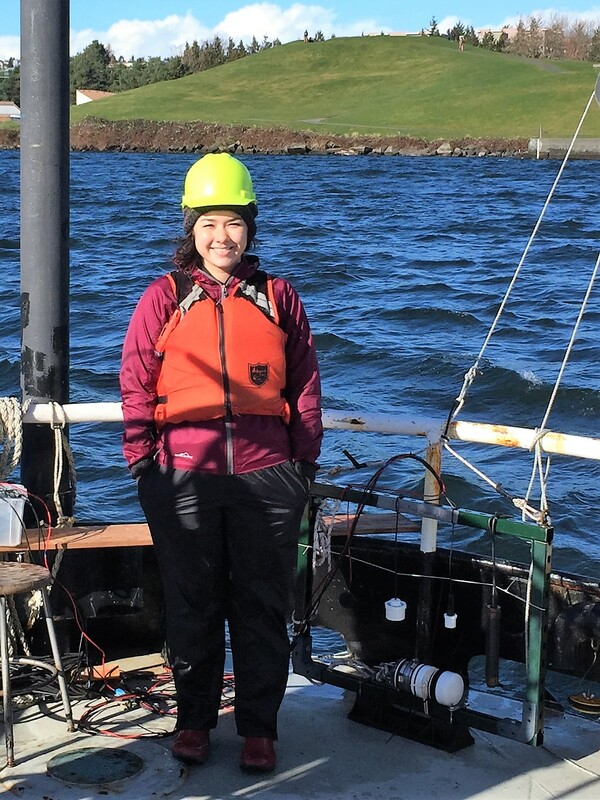 After a few years on a large oilfield remediation project, she decided to return to the coast by way of graduate school, and joined Dr. Aiello's lab in 2016. She is interested in coastal restoration and will focus her thesis research on a salt marsh restoration effort in Elkhorn Slough. Alan migrated to the Monterey region from spacious Montana. Having earned a B.S. in Geology from Montana State University in Bozeman, Alan went to work in the oilfields in North Dakota for 2 years. Intrigued by the geochemistry of the core samples he was analyzing at various drill sites, he returned to school at the University of Montana in Missoula where he studied chemistry. He worked in Dr. Nancy Hinman’s lab studying and analyzing how organic matter interacts with different minerals using an XRD and SEM. He also worked in Dr. Carine Blank’s microbiology lab as a student research assistant working with various strains of algae and analyzing the lipid and pigment concentrations. His current focus is studying the deep ocean sediments on the northwestern Australian margin. Since arriving at MLML, Alan participated as a sedimentologist on R/V Sonne which sailed along the western coast of Australia in the summer of ’17. Alan is a mountain man at heart but is surviving in the coastal environment. 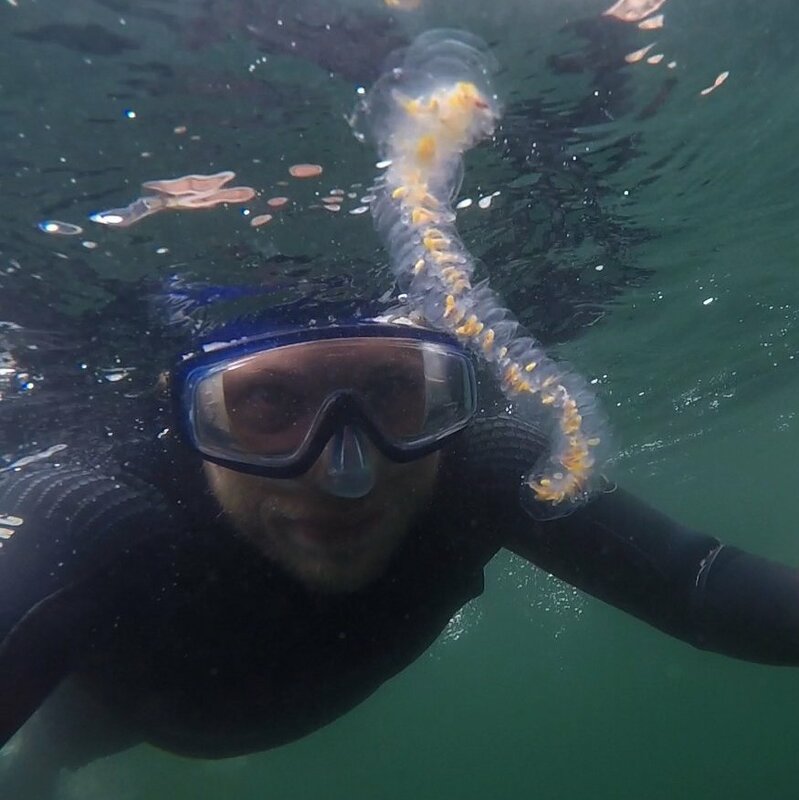 He has taken up scuba diving and is exploring the underwater geology in the Monterey Bay. His interests fall in the field of Geobiology and microbes that live with deep sediment and rocks. Miya graduated from the University of Washington, School of Oceanography with her Bachelor of Science in 2016. Born and raised in Bremerton, Washington, she is passionate about the Pacific Northwest and loves the rain! She worked as a Data Technician at an oceanographic consulting firm her first year out of college and quickly learned she wanted to continue her education and enrich her career. Now pursuing a Master's in Marine Science from Moss Landing Marine Labs through California State University, Monterey Bay, she will be studying Coastal Resilience through a geological oceanography lens and is very interested in the physical interactions that occur in the coastal environment. Her hobbies include rock climbing, cooking, and trying new things.